With a touch of maple syrup, Maple Orange Walnuts are a quick-to-fix snack, a yogurt and salad topper, and good with with drinks. Maple Orange Walnuts are my flavor of the month. 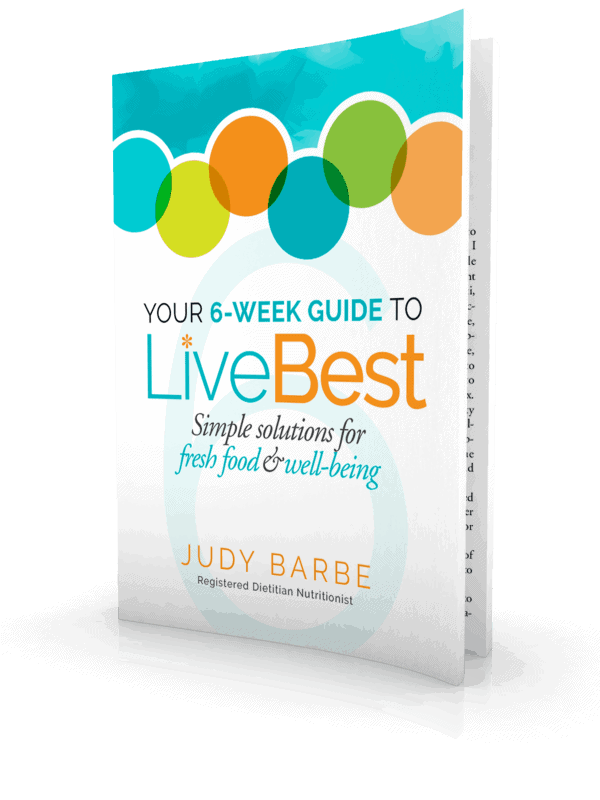 As we wind up the year, this month’s Recipe Redux challenge is to use a recipe from page 2016 (or combo of those numbers) from a cookbook I’m reading as a springboard for creating my own LiveBest recipe. The challenge is bittersweet because a friend and former editor passed away this week. Marlene Morton enjoyed cooking food, eating food, sharing food, writing about food and celebrating with food. At annual family reunions she and her sisters would bake “crooked” cakes. These Alice-in-Wonderland creations were colorful, creative and a bit off kilter. Just like her. 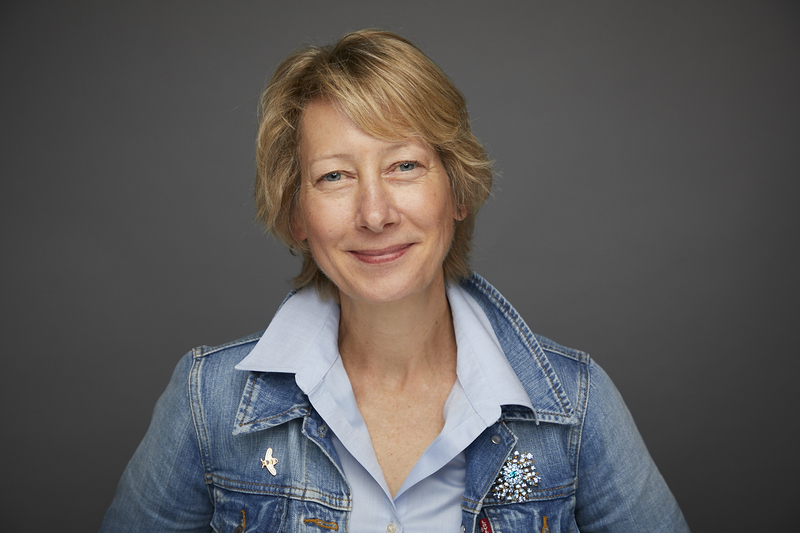 As my editor, she returned one of my pieces with a note written across the top “You have graduated from the Morton School of Editing.” I wore that badge as proudly as about anything I’ve done. If not for her influence, I’m certain I would not have written two books nor built this food blog. I acknowledged her in my book LiveBest Seasonally. For years she planned our annual staff Christmas luncheon. She’d choose a restaurant and then her artist husband, Will, drew a map. As we left the office, she handed each of us a sealed envelope with the map inside so we could make our way to the “secret” location for a fun lunch and gift exchange. Marlene loved to read so it’s only fitting that I use a cookbook that she gave me at one of our Christmas parties. On page 216 of The Art of Simple Food, Alice Waters’ Roasted Almonds with Herbs leads the A Little Something… chapter. Following trends that people are trying to reduce added sugar and salt, I made a little something with walnuts, maple syrup and orange zest. They’re simple. These are common ingredients that you may already have on hand to and are quick and easy to combine and bake. They’re versatile. These are good as a nibble with cocktails, an afternoon bite with tea or sprinkled on a salad or over yogurt for breakfast. They’re walnuts. Walnuts are a nutritious nut. 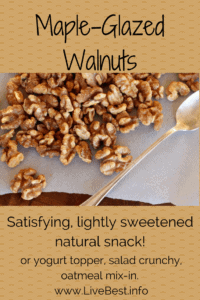 I’m a walnut fan for the protein, healthy fats and fiber they provide. If you are a fan, check out Walnut Mushroom Lasagna Rolls or Chai Walnuts. 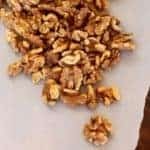 Walnuts are unique because they are one of the highest plant-based sources of the essential omega-3 alpha-linolenic acid (ALA). Omega-3s are heart and brain friendly. Flax and canola oil are other good plant sources of these fats. Of course, walnuts alone don’t keep your brain in tiptop condition – all the foods on your fork impact health, but a handful a day can’t hurt. A serving of nuts is not much more than a handful – just 14 halves or 1/4 cup chopped. In that 1/4 cup is also 4 grams of protein and 2 grams fiber. Toasting deepens the flavor of any nut. Toast nuts in a single layer on a baking sheet at 350°-375° F for 8-12 minutes, depending on size of nut. Smaller or sliced nuts take a shorter time. Because nuts are rich in fat, they continue to cook after you take them off the heat. So take them out of the oven when they are a little lighter than you want them. 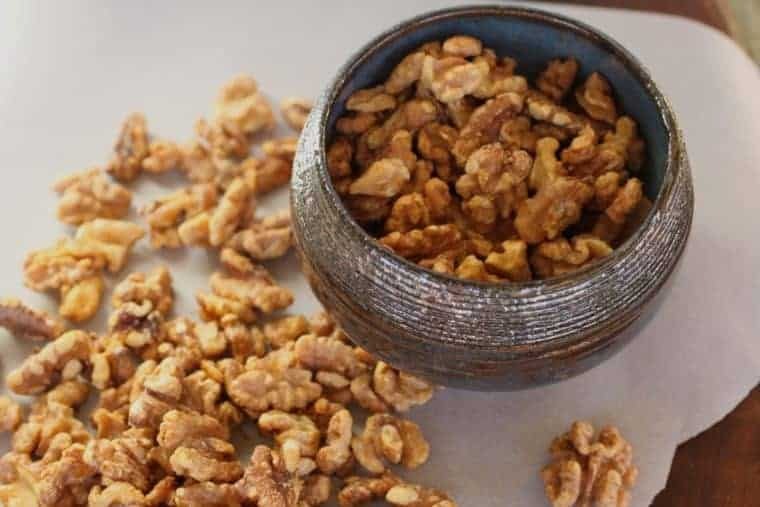 With a touch of maple syrup, Maple Orange Walnuts, use simple ingredients for a quick-to-fix snack, a yogurt and salad topper, and are good with drinks. Line a baking sheet with parchment or silicon mat. Combine walnuts, maple syrup and orange zest in a bowl. Stir to coat nuts. Bake 10-12 minutes. Remove from oven. Place pan on cooling rack. Nuts will crisp as they cool. I love the story about the scavenger hunt lunch! And I’m loving how simple these nuts are. Yes, I still need last minute teacher gifts so these are perfect! That scavenger hunt was such fun, Serena. Marlene was one of the good ones ;-). Merry Ball Christmas!! Love the idea of orange with maple! Seems to work, Deanna. I just sprinkled them on my oatmeal and yogurt. Merry Christmas to the Seagraves and Dalys!! These sound delicious! Such a great way to dress up healthy walnuts. So funny that we chose the same recipe to redux. Best wishes for the New Year. Thanks, Laura! I agree. With all the cookbooks there are to read, amazing we ended up on the same page!